Are you having problems with installing, uninstalling or reinstalling iTunes on your Windows 7, 8 or 10? Have you encountered the “there is a problem with this windows installer package” error when trying to install, uninstall or reinstall iTunes? Here are some easy steps you can take to resolve the problem. Part 1: What Cause Windows Installer Error? What Cause Windows Installer Error? Generally, you shouldn’t face too many issues with installing programs on Windows. The installation process normally moves smoothly. However, there are certain situations where you can encounter Windows installation errors. The error may appear if you have unstable network, especially if the installation is by Steam. You can also encounter the “there is a problem with this windows installer package” error if you and tried and failed previously to uninstall the program correctly. It is also possible to encounter the error when you first try to uninstall the software. The problem is often caused by damage to some components of the before installation or during uninstallation. This may then make you encounter errors when you are trying to reinstall or uninstall iTunes, iCloud or any other Apple related software. You don’t have to stress yourself over the “there is a problem with this windows installer package” error. You can take care of it all in one click, thanks to iMyFone TunesFix. It is a top notch iTunes repairer that can get your iTunes in great working shape. It can fix 100+ iTunes issues and errors. If you are unable to uninstall iTunes, use TunesFix to completely uninstall iTunes without leftovers. If you are unable to reinstall iTunes, use TunesFix to get rid of this error and install the iTunes. Step 1: Launch iMyFone TunesFix and it will automatically detect your iTunes and necessary components. 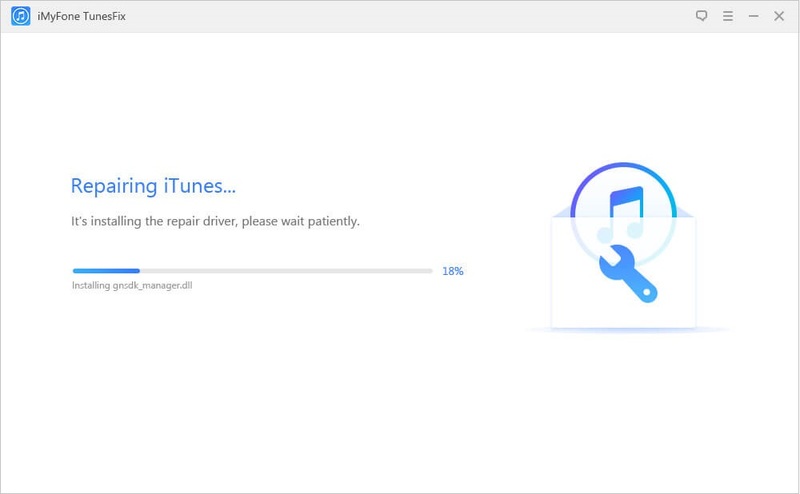 If your iTunes is damaged, it will show you the specific status of your iTunes and allow you choose to repair it. Step 2: If your iTunes is undamaged or after fixing the damage, you will be directed to the homepage. On this page, you can see all the options available to fix your iTunes issues. In this case, you would need the “Fix iTunes Install/Update Issues” mode. Note: If you want to uninstall iTunes, choose “Full Uninstall” feature. Step 3: Click on “Repair” to start the process. During the course of fixing the error, TunesFix will help you download and install the repair drive. 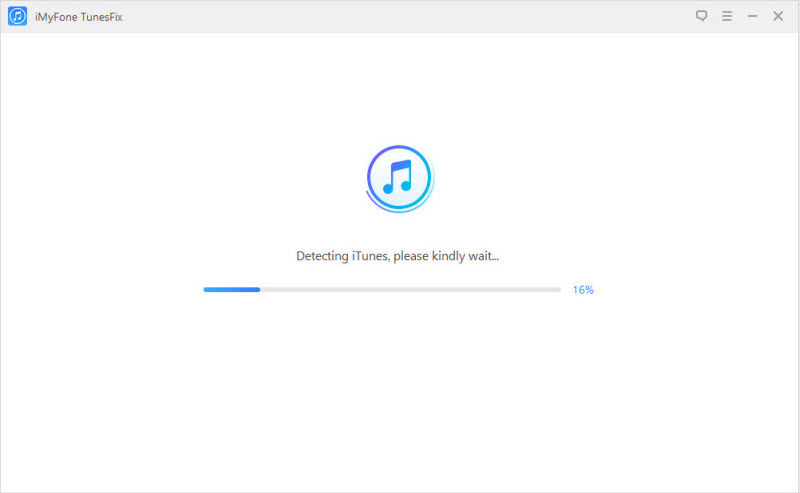 Once this is done, your iTunes will work properly. 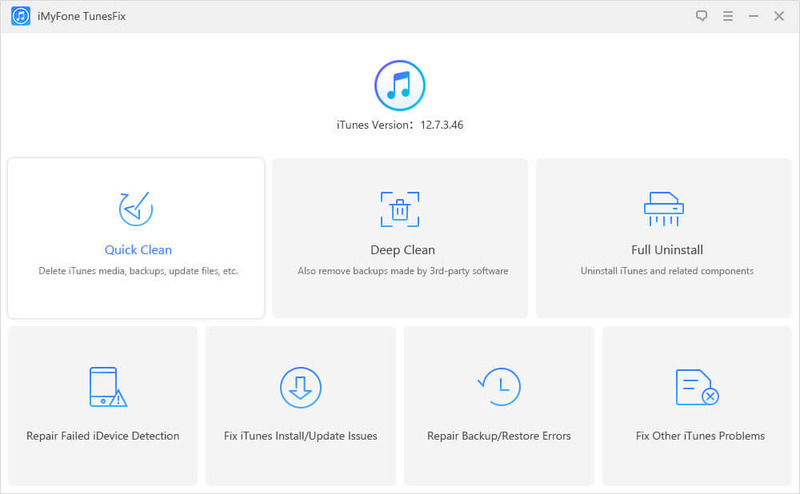 Easily fix 100+ iTunes errors, including iTunes could not connect, restore/backup errors, iTunes won’t open, iTunes coundn’t update iOS, etc. Repair iTunes errors without any data loss. Clean iTunes to release huge space and optimize iTunes performance. Thoroughly uninstall iTunes and its related software components without leaving traces. Check if your installation package and setup file are damaged or outdated. This is one common reason for the error. Check if you are using the correct package. If you have a 32-bit system, you would need a x34 installer. Delete the installer file, clear your temporary internet files as well as temporary files folder. Then you can download the setup file again to a different location. Run and see if it installs. Go to your “Control Panel > Programs and Features”, find iTunes, right click on it and choose “Repair”. Run the Windows Program Install and Uninstall Troubleshooter. After that, see if the program install correctly. If none of the suggestions for manual fix work for you and you still have problems with the installation error, you can also check the videos here. It contains a step by step tutorial on how you can easily fix the “There is a Problem with Windows Installer Package” error. Watch the video and follow the instructions carefully.